Every drum score for free ..
Ok drummers, I need your input and help with this one. I’m pretty convinced that I want to make all of my drum scores available for free. The pipe band drumming world has done so many positive things for me and my family and I feel it would be a small thank you to share my music for those who want to play it. 1) Do you think this is a good idea? 2) What would be the best platform to make them available? Way too many drummers (and bagpipers) complain about having to perform a tune without the sheet music – they moan about how difficult it is to commit the tune to memory. But honestly, it’s not difficult at all – it’s all about discipline and repetition. Whether it’s your first 4/4 march or perhaps your newest medley selection, the method remains the same. It’s not rocket science (like my previous post about what us pipers and drummers can learn from an Astronaut) – it’s just a matter of hard work and perseverance. 1) Learn one phrase (that’s two bars of music) and then play it by memory – just turn the page over and test yourself. Join all the phrases together until you have one part – that’s actually only 4 bite-sized chunks and shouldn’t take you very long at all. Turn the page over and play the whole first part – flip the page and check that you got it. Do this 10 times. 2) Put your sticks (or chanter) away and go do something else for 10 minutes – make a coffee, grab a snack, watch Keeping up with the Kardashians (or maybe not!) then return to your instrument and see if you can still remember the part. If you can, great. If not, then repeat step one. 3)Come back first thing the next day and make sure you can still play it by memory. If you can, joy! If you can’t, repeat steps one and two. Do this every morning for 5 days and you will have the tune going no problem at all. 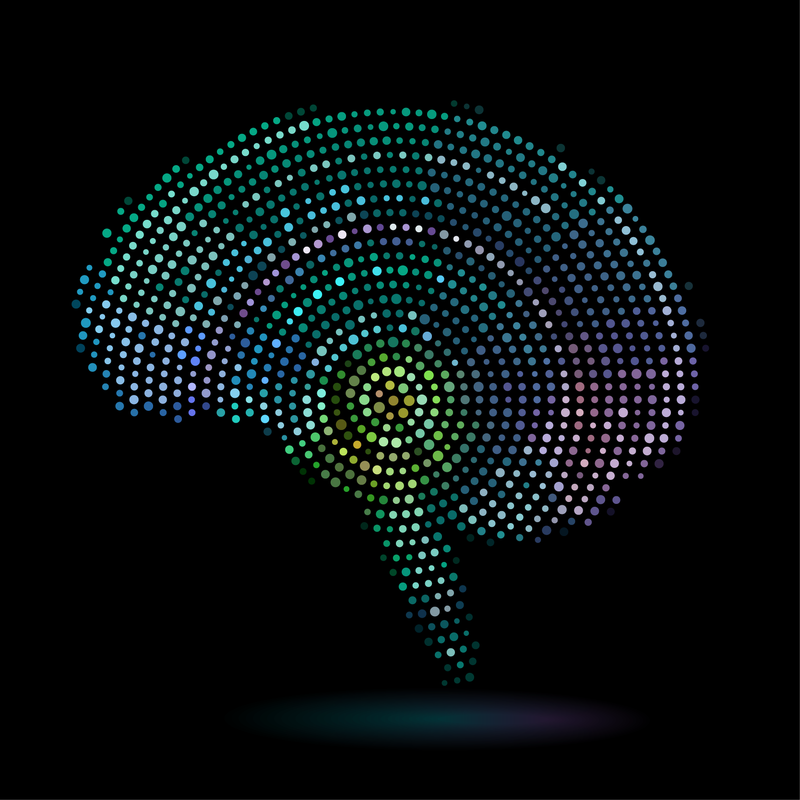 You can top-up your memorising speed by playing through the score in your head (visualisation) – or tapping the tune out with your fingers. I think young students often do this in Mathematics class! Bottom line is, there’s no shortcut. But it’s worth it in the end. Once you have committed the tune to memory, you can really start having fun with it and moulding it with musicality and feel. If you have any memorising tips, please share them! Well drummers, we have finally come to the end of the Pipe Band drum tuning series. All we have to do now is look at the bottom snare setting and head adjustment. So many people underestimate the importance of the bottom head and bottom snare wire. The largest amount of focus is on the top head. From experience, and asking lots of questions (I was one of those annoying kids who constantly prodded for answers), many drummers think that the top head is where all of the brightness and pitch comes from. Ok, so they aren’t totally wrong, but certainly aren’t totally right either. I can see why they think the top head is important in terms of pitch as it’s made out of Kevlar. They can stretch this Kevlar super tight, and get a “higher pitch”. However, it is SUPER important to understand the the tonal quality and pitch of the drum is a result of both heads, snares and the shell being in tune with each other. When things aren’t balanced, we get that dreaded “overtone” – or weird melodic tone that rings from the drum when you strike it. If you are interested in the science behind it all, then check out this wee article. Here’s something for you to try. Strike the top head and listen to the overall tone and pitch of the drum. Now loosen the bottom snare wire off until it’s drooping down. Strike the drum again and listen to the overall tone and pitch of the drum. Now tighten the snare again, and repeat. Well, hopefully, you would have noticed how dull and boxy the drum sounded when the bottom snare was too loose. This is probably the one thing I check on my drum the most. It is quite easy to knock or bang the bottom snare wire – even just by taking it in and out of it’s case. It’s just such a simple fix, but one that many forget to check! 1) Take the bottom snare off. Get the DrumDial out and ensure your head is where you want it to be on the dial. If you are setting up a whole corps of drums, line them up (upside down) and pitch them evenly. Use your ears!!! Or if you are tone deaf, get someone in your band who isn’t (a piper could come in handy for once!!). You should really be tightening the bottom head often, especially during the competition season. Only turn each bolt 1/8 of a turn clockwise each time. There is no need to do more than this in one sitting. 2) Set the snare back on and ensure it is sitting evenly across the head. You don’t want one end being lop-sided. 3) You are able to adjust the height of the snare mechanism. This is something that many drummers overlook. Use the height adjustment to ensure the snare is sitting snug on the head. You don’t want it to be sitting too far away from the head. Remember as you tighten the drum head, you will need to adjust this. Make sure you set the drum on a table or on the side so that you can get eye level with the snare. Using your finger, tap the snare near the edge of the drum to ensure it isn’t sitting to far from the head. 3) Gently strike the bottom head and start tightening the snare. You need to use your ears again!! You will hear the overall pitch of the drum increase as you tighten the snare. 4) Keep tightening and listening. There will be a point where that bright pitch turns into an overtone. This will sound strange and unpleasant. And you don’t want this. Loosen off the snare and gradually take it back up to tension. You want to reach that point right before you have choked it! Okley, Dokley. You’re ready! Yup – we have successfully set your drum up to be played. Well done. You should adjust your drum as often as you need. Don’t assume it will sit perfectly for a year without being maintained. Also, you should consider changing heads and snare wires once every 12-18 months, as well as re-lubricating all of the areas we covered in the previous posts. Another thing to consider is your pipe band stick pitch. If you have old sticks that are low in pitch, this will clearly affect the sound of your drum. Combat this by getting a fresh pair at the start of each contest season – and keep them dry!! Thank you for your input, and support. I hope these posts are of some help to you. If you haven’t already, please pop your email into the subscribe button on the top right and continue to get updates from me. Also, please check out my website www.come2dum.com for all of your pipe band drumming requirements and educational resources. Let’s continue on with the pipe band drum tuning series. 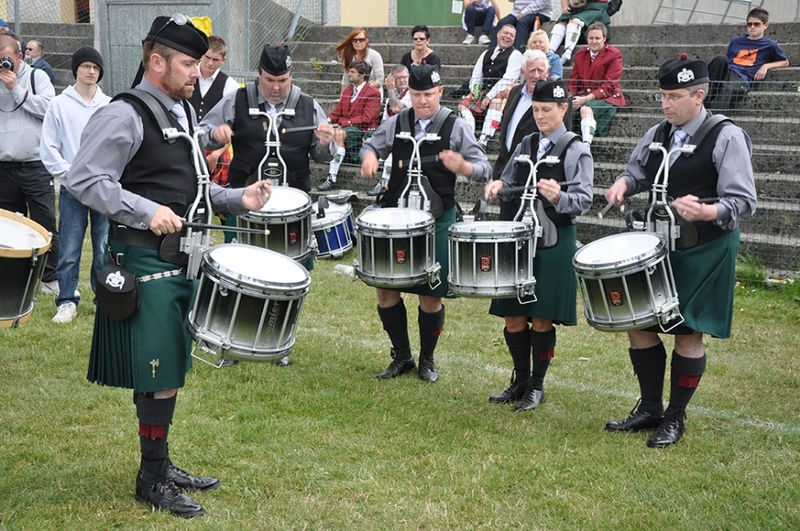 We are getting down to the nitty gritty of tuning your pipe band snare drum (scottish snare drum, side drum, marching drum or whatever else you wish to call it!). In the last two posts, we looked at setting your drum up correctly from the point at which it arrives with you from the factory. The key reason for doing this : you simply don’t know exactly how much lubrication has been applied at the factory. By taking the time to do this, you will increase the life-span of the drum and burn through less consumables such has heads, bolts and snares. 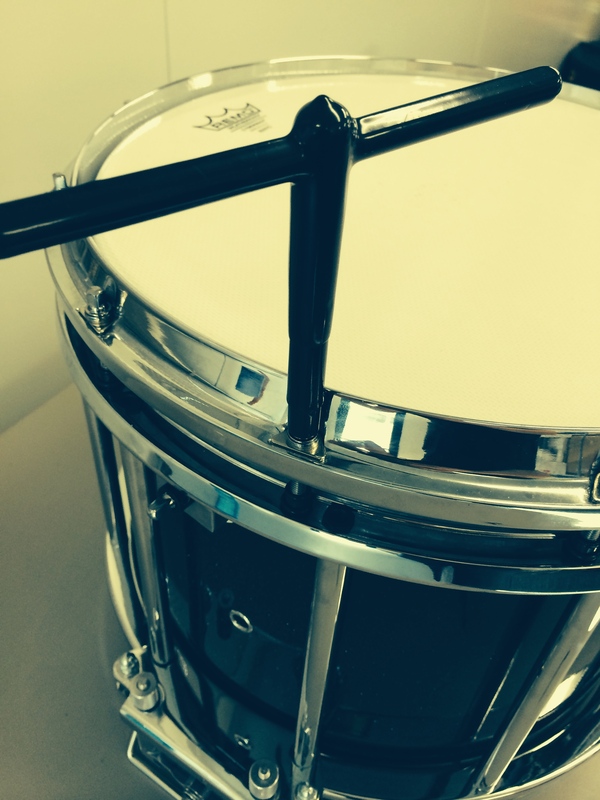 Now we are going to look at setting the top snare – something that is totally down to personal preference. No matter how you like the sound of the snare response – you need to apply the same principles or formulae to get the end result. 1. Get your top head tension to a point where you are happy with the pitch. In the middle of winter, this might be quite dull compared to where you will have it during the summer pipe band season. Remembering to use your Jim Kilpatrick tuning block (or old school calipers if that tickles your pickle). Once you have got to a point where you are happy, only tighten the top head sing 1/8 turns clockwise when required. This doesn’t need to be done at every practice. Try to think of when you want the drum to be “at its best” – and work your way slowly towards that. 2. Figure out how to lower and heighten the snare mechanism. 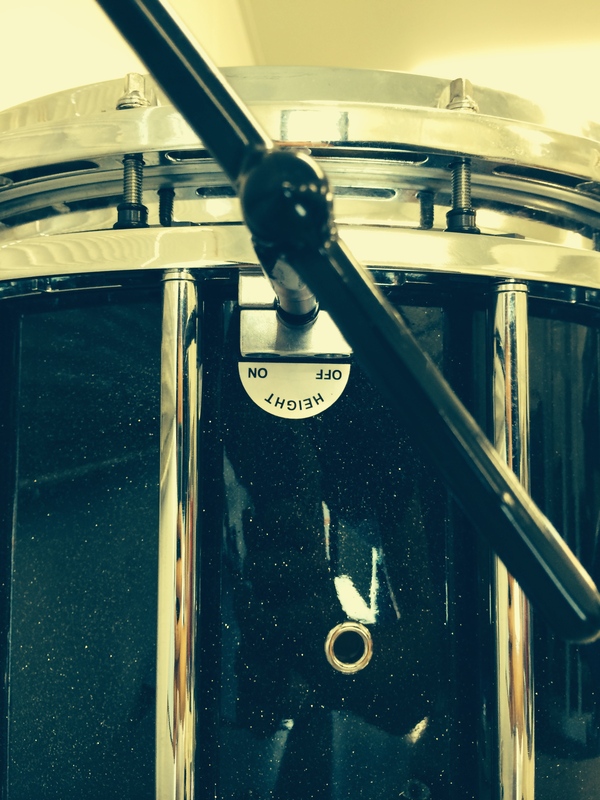 Nowadays, drums come with “dummy proof” signs on them to show you which bolts are for tension versus height. Lower the height down (of the) the snare mechanism – as you are doing this, confidently tap the drum in the centre of the head. You will hear the snare mechanism pull away from the head to leave you with a dull and snare-less sound. Slowly, bring the height back up. You will soon hear the snare wires re-engage with the head. This is where you really want to take it slowly. The slightest turn of the height can push the snares so far into the head that you get a “choked” sound – where the snare wires don’t vibrate at all. You want to find a happy medium here – try playing with it. Don’t be afraid to lower and heighten the snare mechanism a number of times until you are comfortable with what you are doing. 3. If you aren’t getting the sound you want, then take a look at altering the tension. By altering the tension, you are simply stretching the snare wires or loosening them. By stretching them you will get less vibrations, and therefore less “snare sound”. By loosening them you will get a looser snare sound, or “snarey” sound as some people refer to. This again, is about finding the right balance. If you go too loose, you face the possibility of the snare wire falling off whilst you are playing it (and Yes, this has happened to me!). If you go too tight, you risk the chance of a choked and boxy sound. Set the tension, alter the height, and continue to do so until you are happy. 4. Where is the best place to get the true sound of the drum? Well, the best place is to stand where the listener stands. This will be different from the solo platform to the band platform. For the solo drummer, you need to focus more so on the top head and what the drum sounds like from the front. For a pipe band performance, you need to focus on the sound from behind. We will take a look at the bottom head in our next instalment. But here’s something to think about – if you hear a slight rattle from off the top head when you are standing over it – walk around behind. The chances are you probably wont hear it. But if you tighten the snare and the rattle off the top disappears, chances are it may sound choked from behind. Use your ears! 5. Once you are happy with your snare setting, you wont have to adjust it every practice like the bagpipers or mid-section drummers. 6. Make sure you look after the drum and store it in a sturdy case. Flimsy cases are going to allow the drum to be battered and bruised – and probably damaged. If you are serious about getting the best case in the World – you have GOT to check out the HardCase case. They are absolute life savers, and come with wheels and extendable handles. A pipe band drummers dream! I’m looking forward to our next instalment – setting the bottom snare and head.